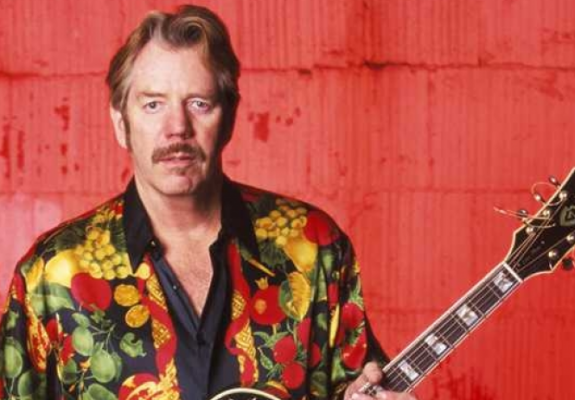 Bay Area musician Dan Hicks passed away this month at the age of 74. 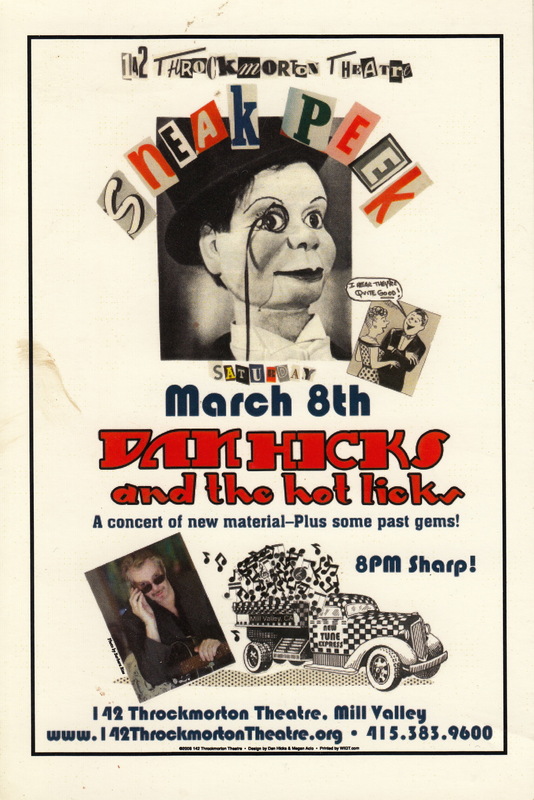 Best known as a witty and original singer-songwriter, Hicks was also a visual artist with an aesthetic that reflected his passion for vintage Americana. DnA spoke with Los Angeles-based writer and curator Kristine McKenna, who had been collaborating with Hicks on his memoir for the past several years. 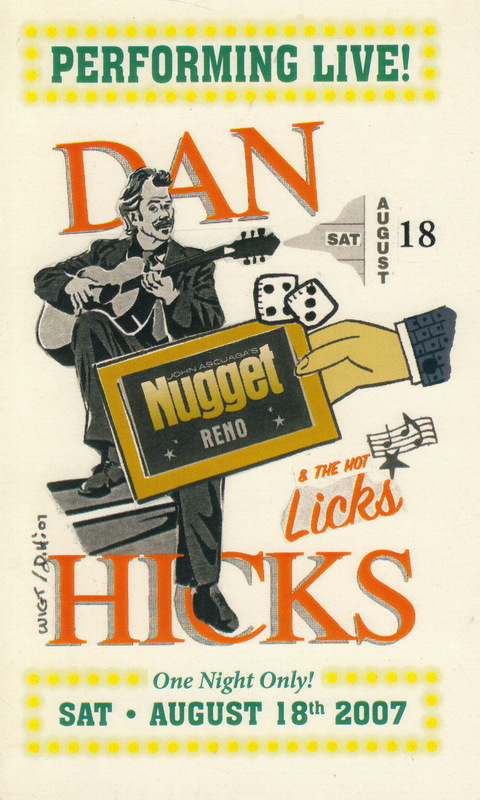 DnA: Could you talk a little bit about Dan Hicks, the musician, for people who aren’t familiar with him? Kristine McKenna: Dan was a member of the Charlatans, which formed in 1965. It’s considered to be the first psychedelic band that came out of San Francisco. 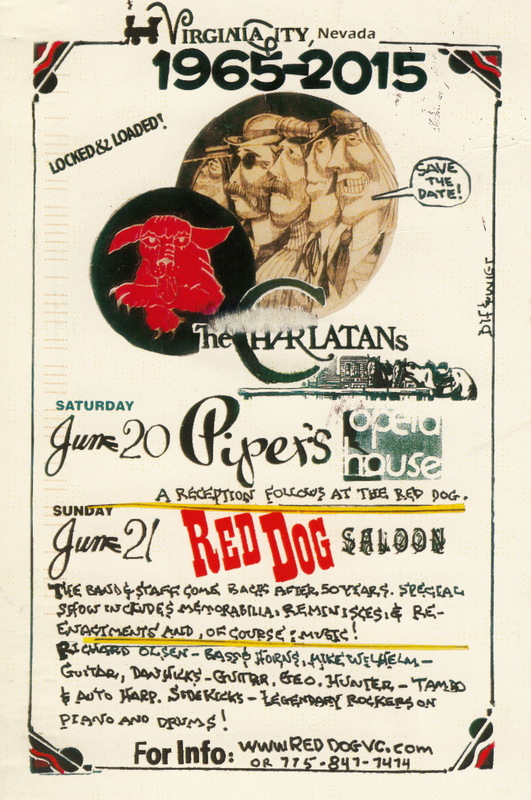 Their music isn’t particularly psychedelic — it’s an amalgamation of folk and rock ‘n’ roll — but the band played shows where a lot of people in the audience would be on LSD. Dan was the drummer in that band, but he was also the best singer and so fairly quickly he worked his way to the front of the stage. 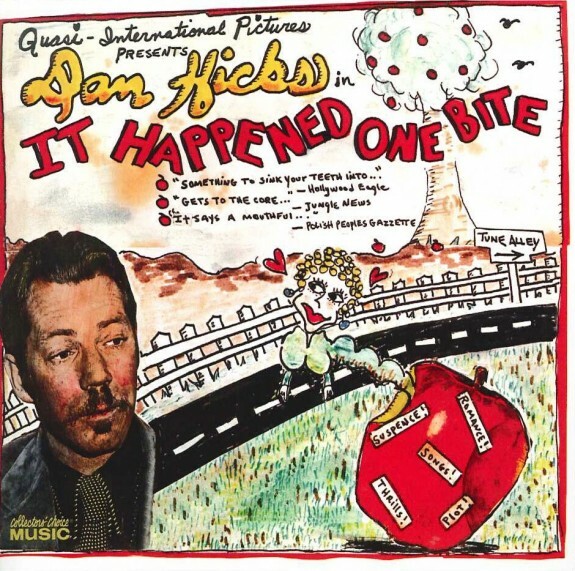 In 1968, he formed his own band, Dan Hicks and His Hot Licks, which was Dan, backup singers Naomi Eisenberg and Maryann Price, a guitarist, a bass player and a violinist. Dan was on the cover of Rolling Stone in 1973, and that same month he broke up the group. He was like that — very contrary and largely indifferent to the strategic moves that would have brought him a bigger career. Over the years, he’d periodically reform the Hot Licks and go on the road with two new girl singers, but the three original Hot Licks albums that are considered their definitive records came out in the early ‘70s. DnA: What’s the case for Dan Hicks as a visual artist? KM: Dan had a very specific and refined visual aesthetic. He cared a lot about the look of his band, which was kind of classic American vintage. Dan was a hoarder and a collector of things. I think he had every bit of memorabilia and ephemera from his early days onwards, including a lot of stuff from the mid-‘60s in San Francisco. He had posters and record labels, and all the announcements for his shows. He kept them all, and he’d cut them up and make little collages that also featured drawings and witty bits of text. He created hundreds of little show announcements, tiny collages that he frequently mailed out starting around 1971. Every one is unique, and they’re all funny because Dan was very funny. I have ones dating back from probably 10 years ago. DnA: Did they evolve over that time? KM: Like anything that you do a lot and practice, they got better. They became more elegant and funnier and a little denser. He would use more materials in them. He could also draw and he drew on them. He took it very seriously. On his official website, there was a section where you could commission him to make an artwork. He produced a couple of little books that were almost like graphic novels. He also had a big hand in the art direction of all his album covers. He did the drawing for the cover of his album “It Happened One Bite” that came out in the late ‘70s. 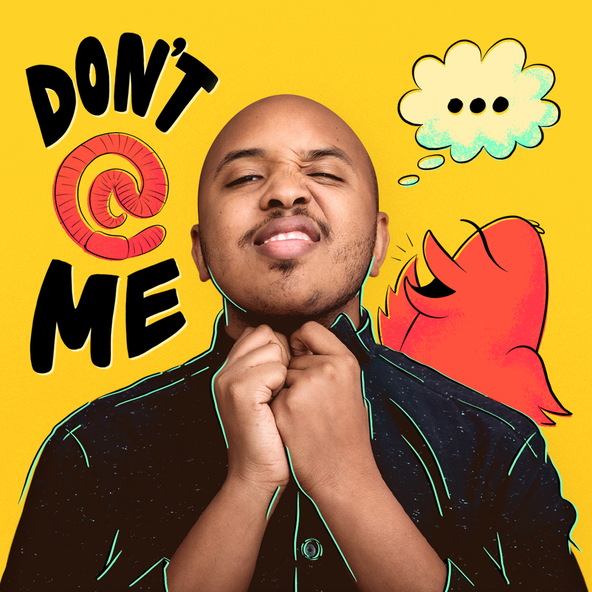 DnA: Do you see a connection between his visual design sense and his music? KM: Dan was always looking back, he was kind of nostalgic for the past. One of the core elements of his music is what’s known as the “hot” jazz guitar, which Django Reinhardt developed in the 1930s. Over the last four years of his life, Dan devoted a lot of time to singing American standards from the early 20th century. The collages were very much an extension of his music and the way he dressed in that they also had a kind of vintage Americana vibe. The two girl singers in his band performed in vintage clothes from the 40s, kind of vampy clothes with feather boas and a lot of spangles. Dan was always very dressed up, too. I think he spent a lot of time picking through thrift stores. DnA: How did you come to know Dan Hicks and work with him on a memoir? KM: I first saw him perform when I was 14 or 15 years old and was just completely dazzled by him. Then, about four years ago, I saw Dan in an airport. I was kind of embarrassed to approach him but I just walked up and said hello and somehow this project evolved: he would write a memoir and sort of dictate it to me. Every Friday for three years, we spent two hours on the phone in the afternoon, and then I would transcribe what he said and turn it into his story. The book is finished and we’re shopping it for a publisher. It has such a different feeling to it now that he’s passed; I guess it will kind of be his final word on his life and music. DnA: How will he be remembered? KM: First of all, I don’t think he’ll be remembered enough. I’ve always thought he was really under-appreciated. A lot of people will remember him as some kind of quirky novelty act because he did write funny songs. But in fact he was a giant of American music. He was an incredible songwriter, a great singer, an amazing guitarist and musician. He was brilliant. Kristine McKenna is a writer and a curator based in Los Angeles. Her current project is “Life & Work,” a quasi-memoir she’s writing with filmmaker David Lynch to be published next year by Random House.